Ozone Clean Air have teamed up with Vectair Systems to provide the newest and most innovative washroom product technology designed to improve hygiene and save money. These market leading products help businesses to manage, maintain and deodorise their washrooms/toilet areas. 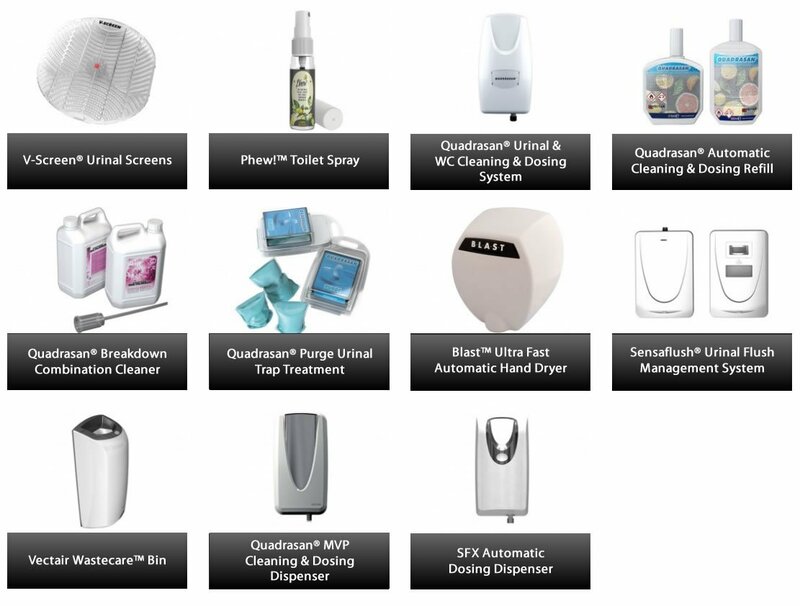 Within the Vectair MVP range, choose from an aircare dispenser with Vibrating Mesh Technology, a multi-phasing passive air freshener with sub-micron fragrance technology, a micro and standard automatic air freshener dispenser, a skin & surface care dispenser (manual and touch free) and an automatic hygiene maintenance dispenser. The Ozone machine worked like magic. Our place stank with cigarette smoke and nothing would get rid of it, one use of the Ozone machine the Pro 5+ and most of it disappeared. I would highly recommend this product.